Whilst working with Ralph Applebaum Associates, Helen Eger designed this project overview book for the pitch stage of the interpretive masterplanning at Holyrood House, Edinburgh. The book presents itself as a novel, and leads the reader through a series of image-led treatments for the project. Whilst working with RAA, Helen Eger designed this project overview book for the concept stage of this Museum project. 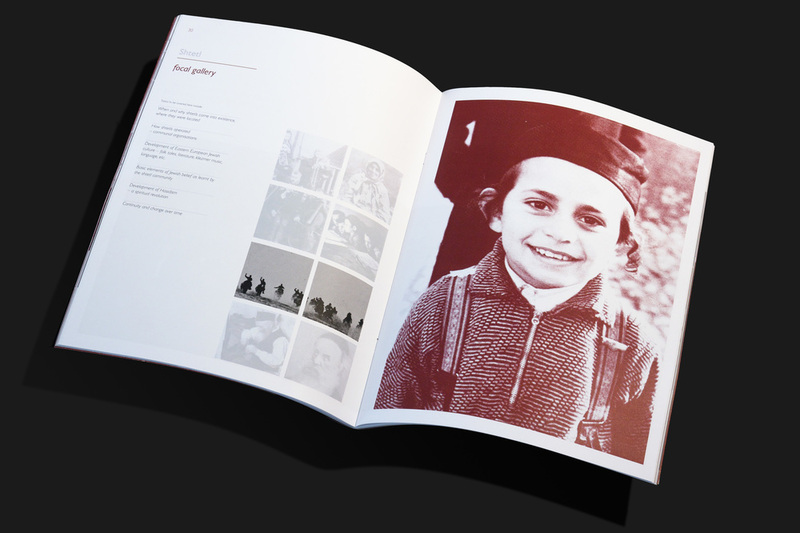 The book combines large-scale black and white portraits with an introduction to the project, and progresses to using smaller imagery and visuals of the project.